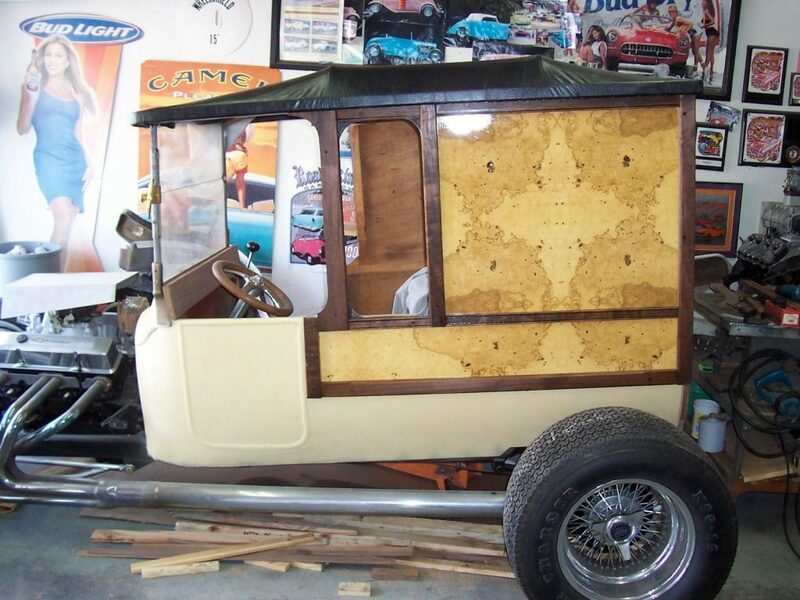 1923 Phantom Model “T” C Cab Woody This is an original Ford Model “T” steel body on a custom built tube frame with custom high grade wood. 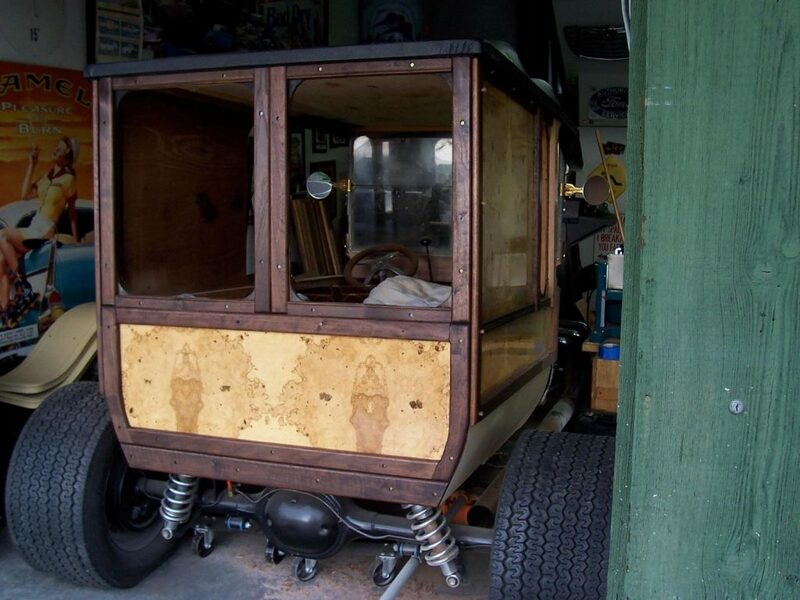 Walnut trim surrounds burled curly maple. 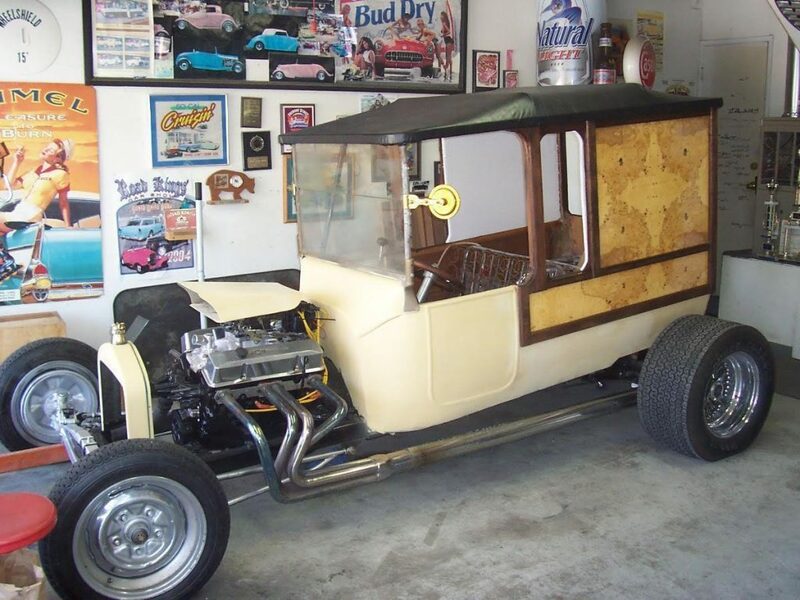 All topped with a vinyl covered roof. 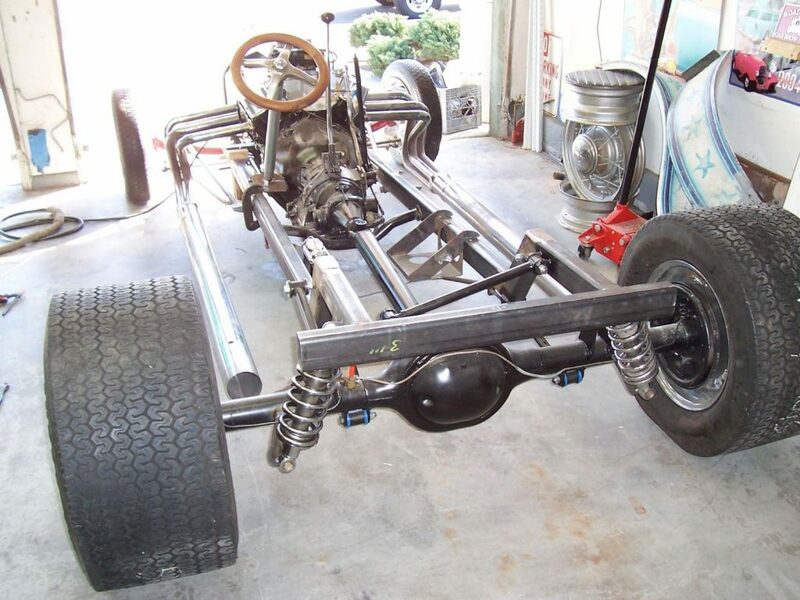 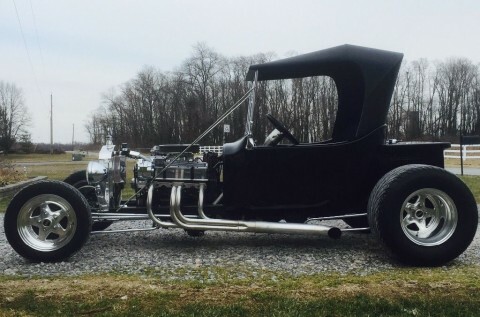 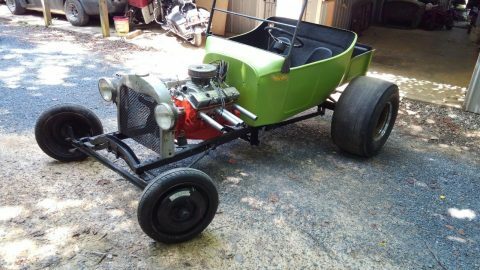 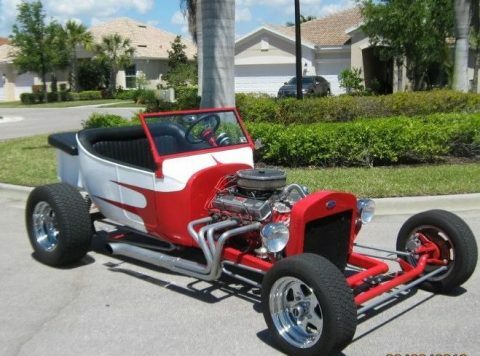 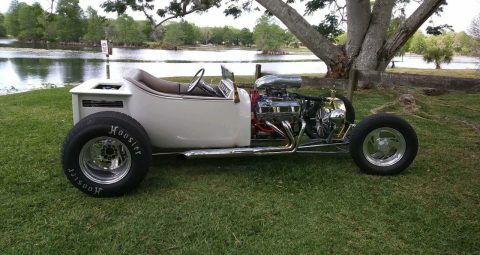 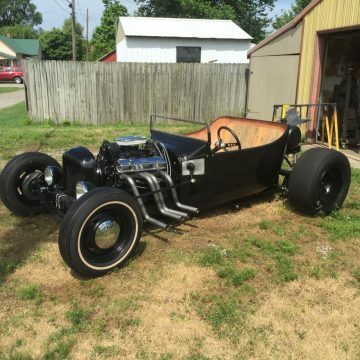 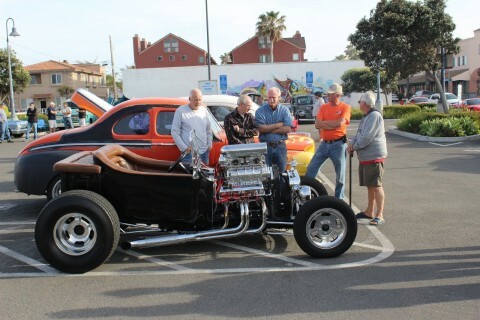 Sometimes known as a “Fab T”, this is a ground up build powered by a 350 small block Chevy engine coupled to a 350 Turbo Hydromatic Chevy transmission and a 8” Ford differential. 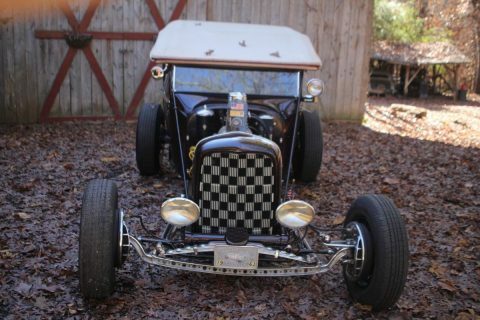 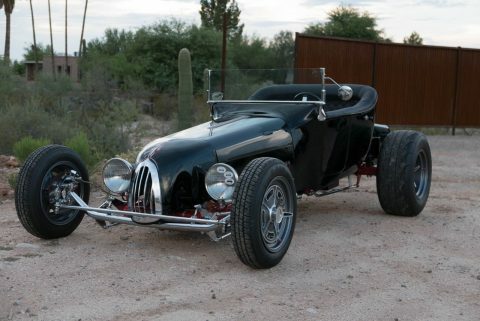 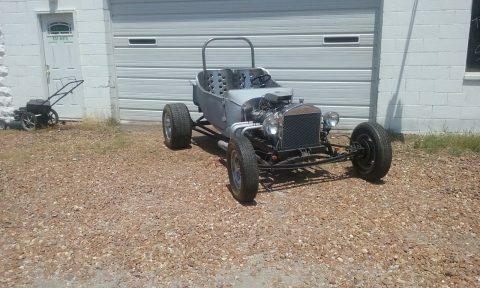 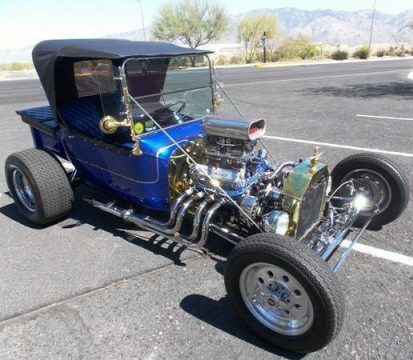 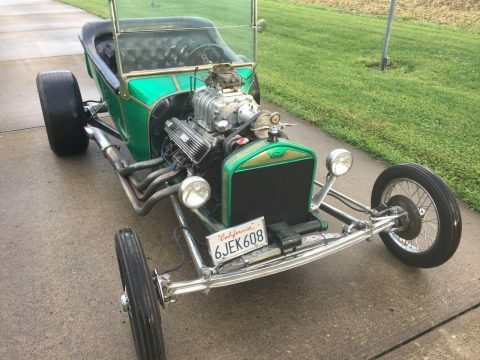 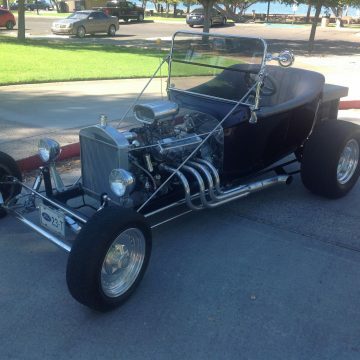 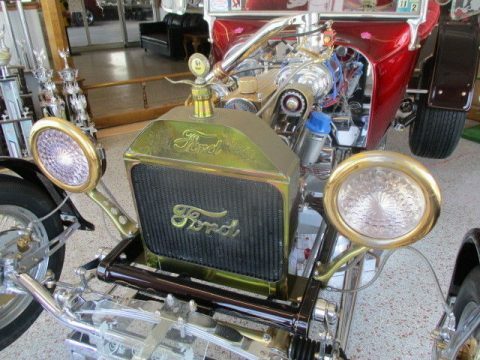 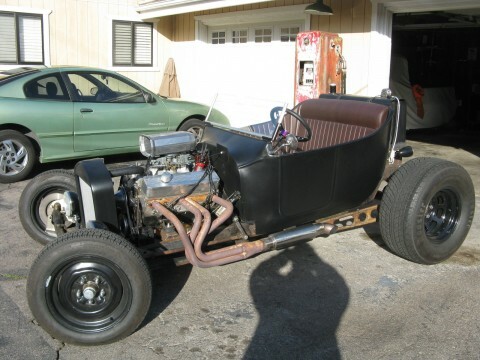 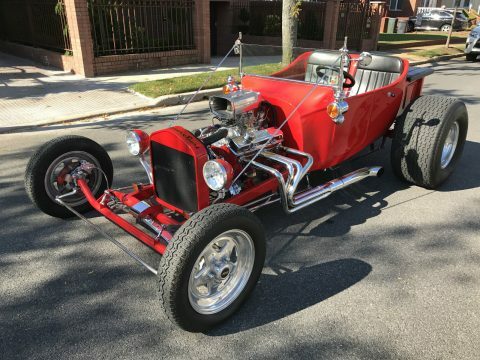 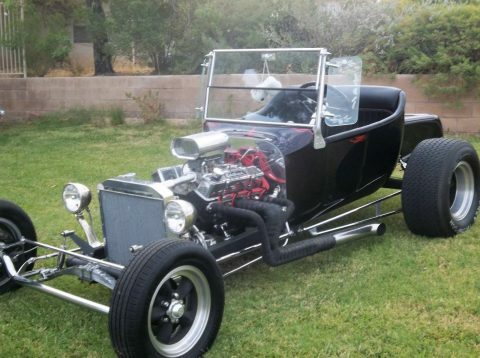 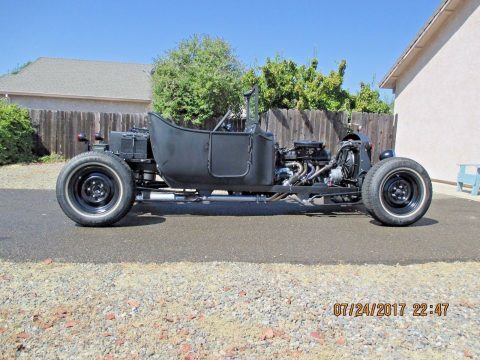 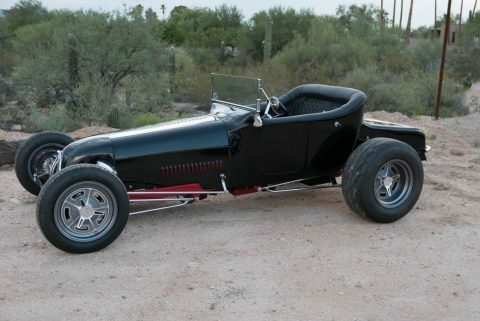 Other details include rear coil over shocks, Locar shifter, chrome tube headers with side pipes, wire spoke wheels (front wire wheels are included but not in the photos), original style Model T radiator shell, period correct wood steering wheel, original windshield with vintage style brass rear view mirrors and more.